In an unusual six player swiss top section, it was young super-talent Yoon-Young Kim that took first place with a perfect 3/3 score. With this win Kim surpassed the 2300 mark for the first time! 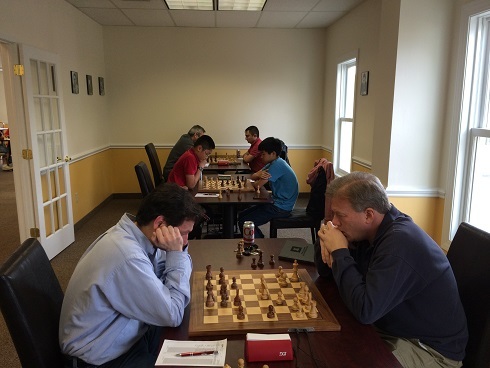 Joseph Bihlmeyer continued his recent march towards master finishing in 2nd place with 2/3. Andrew Dexter won a very closely matched quad with a perfect score, a full two points ahead of his nearest rivals! In another hotely contested quad, Ethan Cushman won by a very narrow half point margin score 2/3. 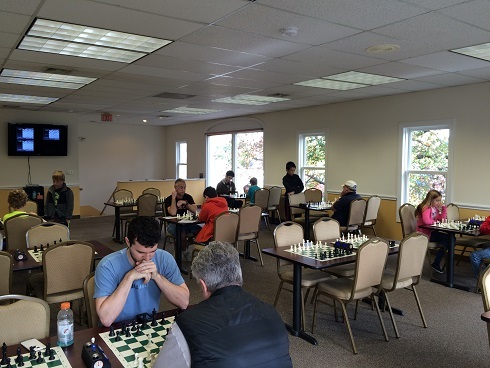 CCFC welcomed Frederick Wang to his first CCFC event and the experience did not dissappoint as he won his quad with 2.5/3. Congratulations to all on another well played and exciting event at CCFC!